E ngā mana, e ngā ihi, e ngā wehi, koutou katoa te rangatira e awhi ana, e hapaitia ana ki ngā Ririki i ngā whānau, i ngā hapori puta noa i Aotearoa, tēnei te mihi nui ki a koutou katoa. E te Atua, mā te tauira o ngā mātua ka mārama ai te tamaiti he aha te aroha; meinga mātou kia tika, kia tū ai mātou hei tūrangawaewae mō te tapu me te mana o ā mātou Ririki. Mauri ora e te Atua. Āmine. God, a child learns to love because someone loves them first; make us worthy of this trust that we may be a place of safety and belonging, to nurture the sanctity and power of our children. Amen. He mihi aroha tēnei ki a matua Hone Kaa, nāna i whakatō i te kākano kua puāwaitia nei i roto i ngā mahi o te Mana Ririki me ngā whakaakoranga i roto i tēnei rauika. We acknowledge the late Venerable Dr Hone Kaa whose thinking and efforts lay behind much of the work of Mana Ririki and the teachings in this resource. Nā reira, e te Pāpā, ko te puāwai ka rere, ko te kakara ka mau tonu. Moe mārie mai. The repeal of Section 59 of the Crimes Act where parents and caregivers had their right to use parental force to discipline their children removed. Training and resources for the sector and Maori whanau. Te Kāhui Mana Ririki is the result. From inception Mana Ririki has focused on a multi-layered campaign to end Maori child abuse, with facets which include education for whānau, advocacy and research. We have developed a successful parenting programme which teaches non-violent parenting, and trained a network of providers in the model. The parenting model is based on research into traditional Maori parenting, and evaluations show that tikanga Maori as the core of the model is the main attraction for families. The Aotearoa Reggae Allstars project; mainstream media promotion powered by the ARAs initiative (a single recorded by Illegal Musik by a collaboration of NZ reggae artists with all proceeds going to Mana Ririki). Coverage on primetime television and social media promoting positive role models associated with Mana Ririki speaking out against child maltreatment. Maintaining a high media profile and speaking out about issues impacting young Maori on mainstream media. Anton Blank was the founding Executive Director from 2008-2014. 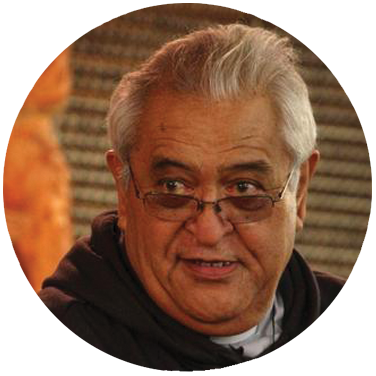 Anton ensured Te Kāhui Mana Ririki was the pre-eminent advocacy voice in the sector. Dr Hirini Kaa was Executive Director from 2014-2015. Dr Kaa established Tikanga Ririki as the focus of Te Kāhui Mana Ririki, and left the role to take up a lectureship at the University of Auckland.